NJAL brings collections from over 18,000 emerging designers around the world, available to buy before they are seen anywhere else. This is really artsy approach and in the process you may feel empowered too, because nothing is going to be cleverly marketed to you by the Big Brands. Choose for yourself and the product will be dispatched to you directly form the artist’s studio. You may receive an item within 48 hours or customize it and get it within three weeks. 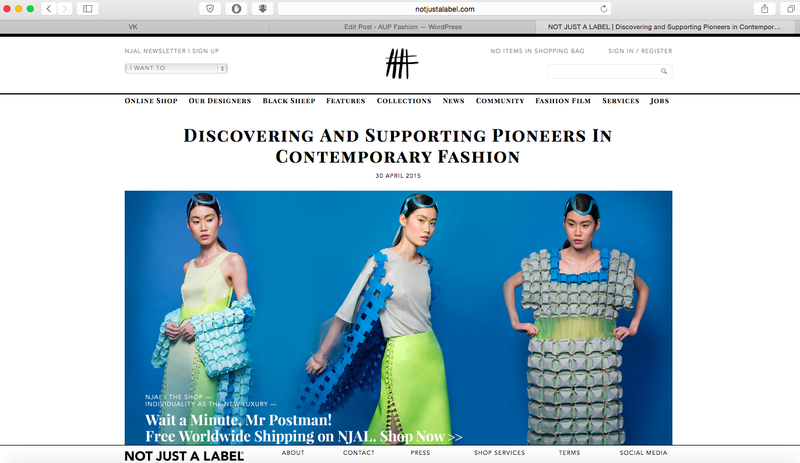 Designers guarantee the highest quality of materials, free worldwide delivery and outstanding personal customer service, thanks to NJAL’s curation. The result is a win-win situation, you get an original item of clothing and the emerging designers will be able to master their craft. The NJAL shop puts the power — and the profits — back into the hands of young designers. This unique concept cuts out the middle-men, creating a direct link between shopper and designer. 70% of your spending directly funds the designers’ progress and businesses worldwide. Calling themselves a revolutionary e-commerce concept shop, farfetch.com is yet another innovative method of shopping – nicely done! Farfetch brings the world’s best independent fashion boutiques to an International audience. Launched in 2008 in LA, the business has grown into a global company, with offices in London, New York, Los Angeles, Porto and São Paulo, the last one is impressive, because of the hight importation taxes in Brazil. How it works – Farfetch has a global community of over 300 visionary fashion boutiques. Visionary, meaning, conceptual and generally cool. If you are not an International jet-setter, but fashion-forward individual with a soft spot for something new and unreachable, you are in luck. These are carefully selected independent boutiques with forward-thinking attitude and unique brands that were selected just for you. The network of boutiques are located everywhere from Paris, New York and Milan to Bucharest, Riyadh and Seattle, but united in one e-commerce website. When you order through Farfetch, your order is delivered directly from the boutique to your door.